Something from my bar whenever I feel like it episode CLXXXVIsteemCreated with Sketch. Another Wednesday another fancy bottle. 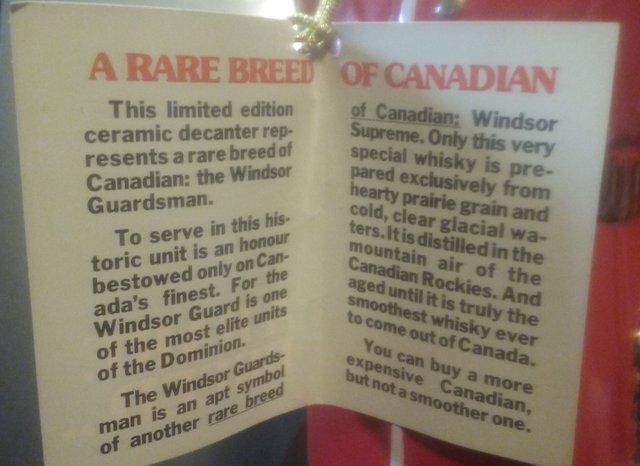 This is a Windsor Canadian Guardsman bottle. Not sure what year but it's from the 70's possibly 75. It's pretty tall about a foot and a half. 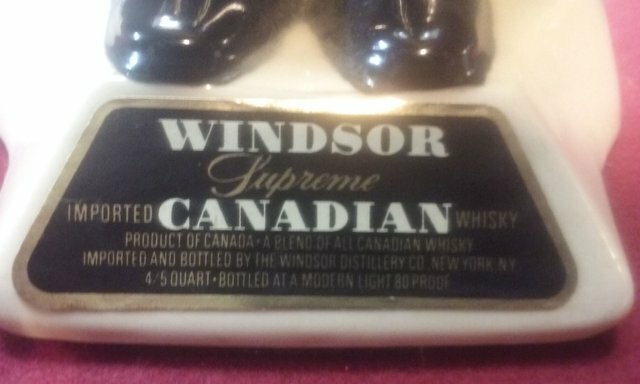 The bottle is still full but the seal has been broken probably by the string from the tag around the neck wearing though it over the years.